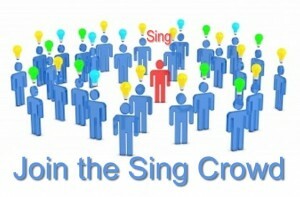 www.singcore.com is seeking to network distributors across the United States of America. We are opening our national grass root distribution campaign. You can be one of the first people to take advantage of this opportunity. These basic and easy terms will not last after enough distributors are established. 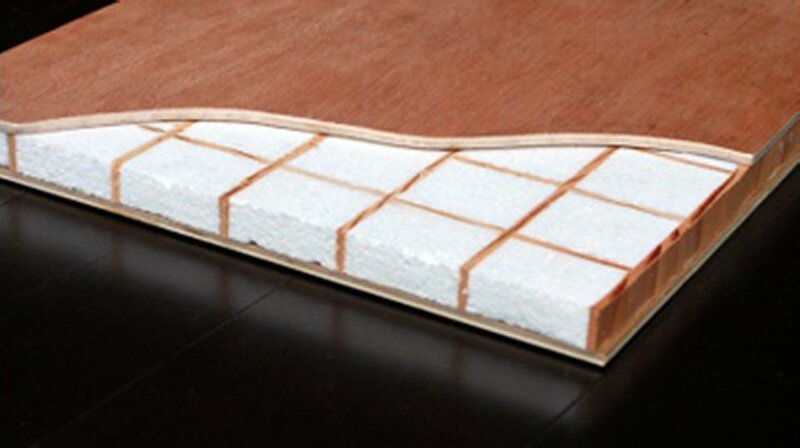 1 – The Advantage ~ the strongest, lightweight Eco-friendly core as an alternative to solid wood core, particle board core, honeycomb core, etc… Click here to see comparison. 2 – Endless Applications ~ This high performance patented core material is based on a unique combination of natural wood torsion box filled with rigid recycled foam sandwiched between 2 sheets of ¼ inch plywood to complete the Reinforced Structural Insulated Panel (RSIP) for endless applications. 3 – Great Potential for Growth ~ Solid material is heavy and not as dimensional stable as lightweight as material made of patented Sing Core. It is the latest trend to use lightweight composite materials such as Sing Core to replace solid materials, like solid wood, solid metal, solid plastic; even solid concrete have been used in conjunction with Sing Core to create lightweight concrete structures. 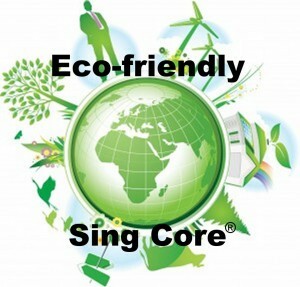 Be an green ambassador www.singcore.com gets hundreds of inquiries every day. There are thousands of people seeking to use Sing Sandwich, but we cannot supply them because we are the factory and we only sell wholesale to trade professionals only. This is a disservice to the greater community and a disappointment to the inventor. You can help us make the world a better true green place. The world can be better, thanks to you. 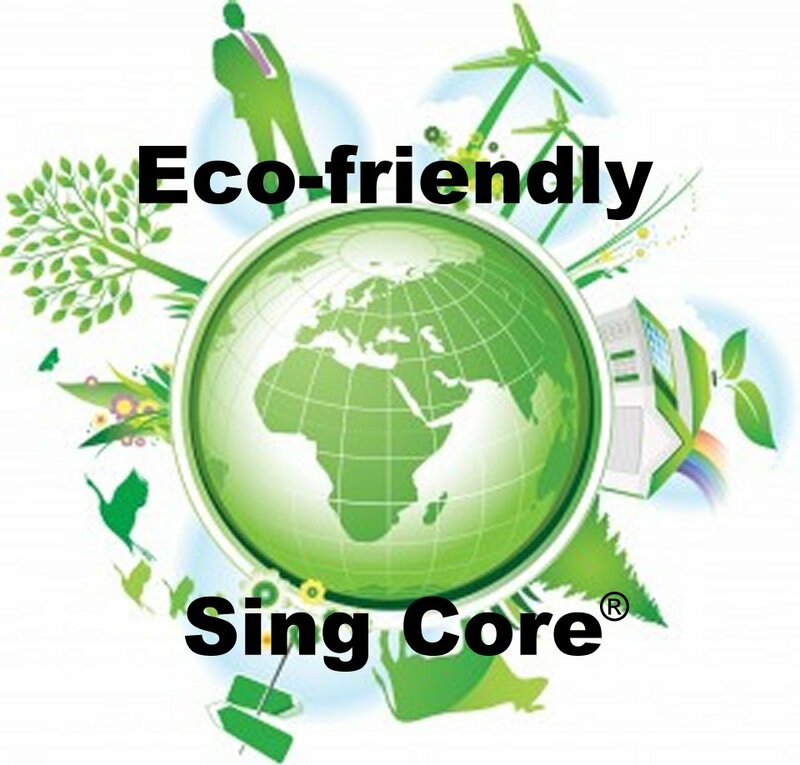 You can be a part of the true green revolution because Sing Core’s inventor, Peter Sing, believes Sing Core is the strongest, lightweight Eco-friendly material to build long-lasting products which use less energy than any known material available today. Sing has always supported independent businesses and business people, helping people achieve and realize their dreams using his patented building materials. This unique approach of building an independent grass roots distribution network will help to make the Sing Sandwich available to the masses just like grass roots reach every corner of the earth. Make the world a green place for all creatures to live in harmony, Sing for the earth, which is the intention of Sing Core. Sing’s vision includes seeing the Sing Sandwich in use in every American home due to the endless possibilities and sustainability. Who should apply to be a grass root distributor? Sales in architect building material. 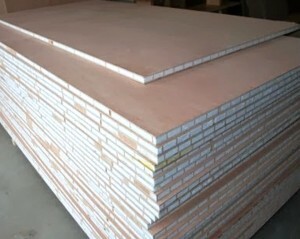 guarantee to get the least price for Sing sandwich panel. or a strong desire to make the whole world Sing. Click here to see Guanxi. If you go to your local box store or lumber yard, such as Lowe’s, to purchase Sing Sandwich panel and present our vendor # to purchase two pieces of Sing Sandwich panel and if you did not get the service you expected, then you should consider becoming a grass root distributor to provide better service to people like you when they walk inside of Lowes. If the next person goes to Lowe’s ask to purchase two pieces (two pieces of Sing Sandwich panel could build the best insulated carriage door in the world. An average (un-insulated) heavy carriage door could twist and cost more than $4000.00, but two of the Sing Sandwich only sold for less than $ 300.00 each at Lowe’s discount price. This dealership opportunity is available at limited time and territories as available. There are hundreds of applications for Sing Sandwich panels besides using them as a pair of carriage doors. We will pass big box store (such as Lowe’s) info to you, when they contact us to order for their customers then you will sell to Lowe’s by delivering Sing Sandwich to your local Lowe’s. You are guaranteed to pay the lowest price and earn the most if you sell to other millworks or others in the wood working trades. All you need is a small garage for inventorying Sing Sandwich panel, a mini van, pickup truck or a 4 ft. x 8 ft. trailer to tow behind a medium-sized car. Now, you can get the best price for Sing Sandwich. You get the lowest distributor cost and Sing all the way to the bank. When will this offer be available? This grass roots launch will seek to gather independent “In stock” distributors starting January 1st 2016 and will be open for a limited time only or until further notice. Distributorships will be offered on a first-come first-serve basis and any distributorship can grow into an exclusive territorial distributor based on performance. There are many ways to earn as a Sing Grass Roots distributor (click here to see Guanxi). First off, you pay our below wholesale cost plus you save on shipping and handling charges because you are buying by the crate, which means increasing your margins for everything that you do with Sing Core in your shop. Next up, as a part of our distributor network, we will forward all inquiries and product requests for Sing Sandwich to you. Also, as our distributor, if you are equipped with a van or pick up truck, you can service local retail lumber yards and local big box stores while being paid handsomely by Sing Core. The added service is warranted and appreciated due to one day delivery instead one week shipping from our warehouse. Since Sing Core is located in the Pacific Northwest’s Washington state, shipping and handling of Sing Sandwich to each potential users who order in smaller quantity (less than a full crate, 28 pc per crate of 4 x 8 x 1.5 inch thick) is less effective and costly. The intention is to have crowd sourcing locations everywhere in the United States. Upon launch every location in the USA is available in one day delivery service by our grass roots distributor (sometimes we have to ship by air cargo to accommodate the fast delivery due to the clients requirements), so this opportunity will never be so adventurous than in the here and now. 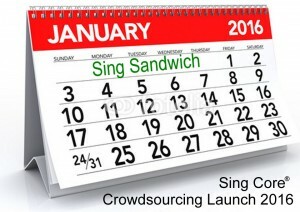 It has never been so easy to get started as a Sing Sandwich distributor. All you have to do is to order one crate (28 pieces) of Sing Sandwich at a special discounted grass roots wholesale price and have it delivered to your location. When your shipment arrives, you can be entered into our network of independent distributors and we will promote you as a local supplier via our sales network. That’s it; order one crate, and you’re in. It’s that easy. Advantages of becoming a Sing Sandwich distributor? help them or let them help you to start a Sing products mfg. OEM. Marketing support from Sing Core. Q: Isn’t the Sing Sandwich available from Lowe’s Home Improvement? A: Yes, but only via the Pro Desk. Most people only want small quantities of Sing Sandwich Panel or Sing Panel such as to pc 4 x 8 to build their carriage door, desk top, furniture, trade show display, tiny house, etc… Many people only want smaller quantities (2 to 10 pieces) and ordering a quantity does not seem efficient because it takes one week to ship from our factory location, plus they have to pay crate and shipping even if they only want 2 Sing Sandwich panels. With your in-stock distributor service Sing Sandwich panels could reach the consumer through big box stores and lumber yards within one day (we will provide our grass root distributors with all the sales requiring less quantity and those needing it right away as requests come in from big box stores and lumber suppliers). Q: How do I make my own custom Sing Panels using affordable Sing Sandwich? A: Simply slice to the thickness that you want to use in your design i.e. slice 1.5 inch Sing Sandwich in half for 3/4 inch thickness. Sand thickness .015 narrower than your panel width to allow room for glue. Q: What kind of glue should I use? A: In most cases you can use standard wood carpenter’s glue. Gorilla Glue is an excellent urethane glue that gives you about 1 hour of working time and takes 2 to 4 hours to cure (we allow 24 hours just for good measure). The Pacific Northwest’s premier Eco-friendly building material manufacturer is seeking to build a crowdsourcing network of distributors across the United States of America. It has never been so easy for an enterprising wood craftsperson to take advantage of one of the most sustainable business opportunities today. The company offering the opportunity is Sing Core. Sing Core has been providing the world with a uniquely functional building material that has solved problems for designers, architects and engineers from beneath the sea (U.S. Navy) to outer space (NASA) and everywhere between for fifteen years. The Sing Sandwich is the most versatile patented Eco-friendly insulated building material that is lightweight (a fraction of other traditional building materials), stronger than steel (660 PSI) pound for pound and warp, bend, twist and cup resistant even under load or covering long spans. 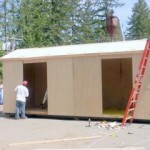 This high performance material is based on a unique combination of natural wood torsion box filled with rigid recycled foam sandwiched between 2 sheets of ¼ inch plywood to complete the Reinforced Structural Insulated Panel (RSIP). See: http://www.singcore.com for more information. Because Sing Core’s inventor, Peter Sing, has always supported independent businesses and business people, helping people achieve and realize their dreams using his patented building materials. This unique approach of building an independent crowdsource distribution network will help to make the Sing Sandwich available to the masses, which is the intention of Sing Core. Sing’s vision includes seeing the Sing Sandwich in use in every American home due to the endless possibilities and sustainability. 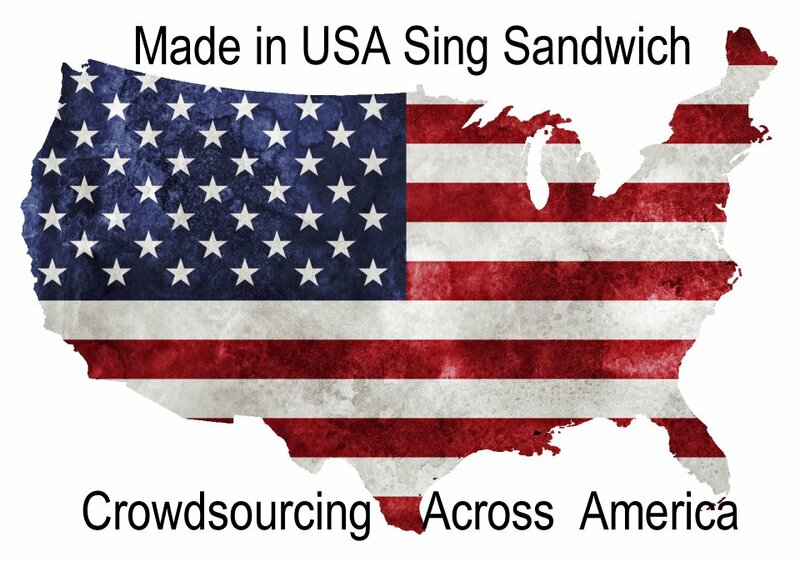 Sing Core gets hundreds of inquiries every day from individuals seeking to use Sing Sandwich, but we cannot supply them because we are the factory and we only sell wholesale to trade professionals only. This is a disservice to the greater community and a disappointment to the inventor. 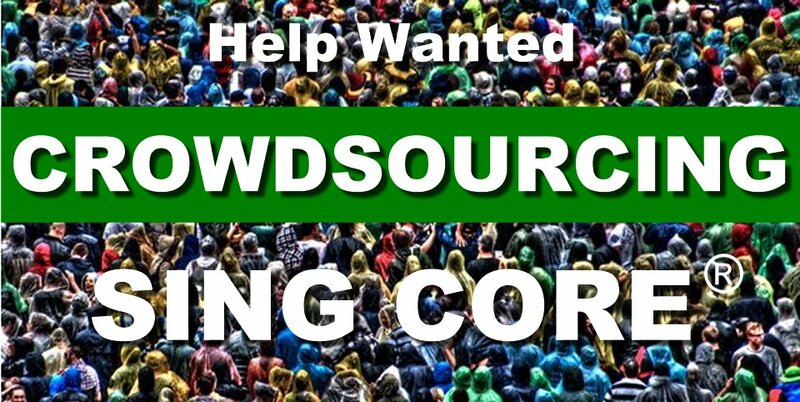 You can help us make the crowd source world a better place. This crowdsourced launch will seek to gather independent “In stock” distributors starting January 1st 2016 and will be open for a limited time only or until further notice. Distributorships will be offered on a first-come first-serve basis and any distributorship can grow into an exclusive territorial distributor based on performance. Since Sing Core is located in the Pacific Northwest’s McCleary, Washington, shipping and handling of Sing Sandwich to each potential user is less effective and costly. The intention is to have crowd sourcing locations everywhere in the United States. Upon launch every location in the USA is available, so this opportunity will never be so adventurous than in the here and now. 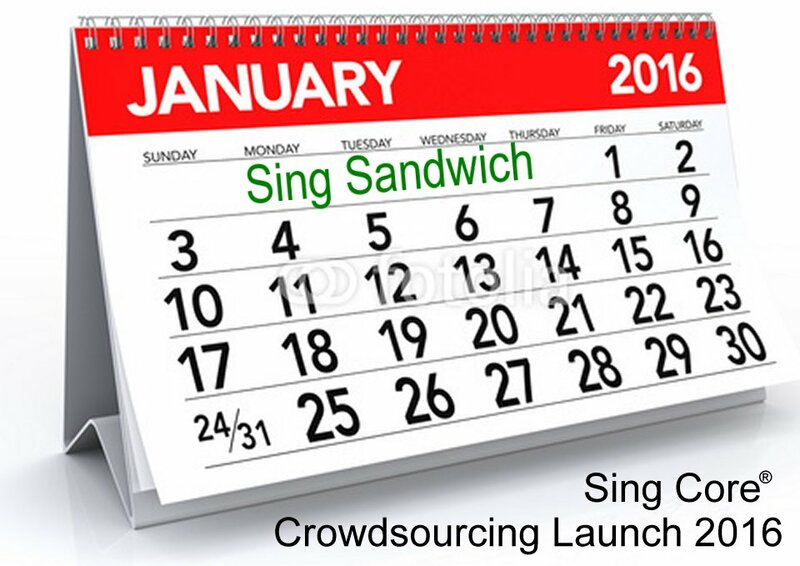 It has never been so easy to get started as a Sing Sandwich distributor. 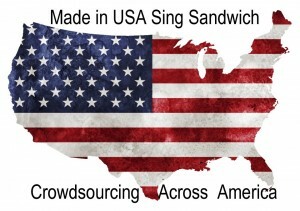 All you have to do is to order one crate (28 pieces) of Sing Sandwich at a special discounted crowdsource wholesale price and have it delivered to your location. When your shipment arrives, you can be entered into our crowdsourcing network of independent distributors and we will promote you as a local supplier via our sales network. Q: Isn’t the Sind Sandwich available from Lowe’s Home Improvement? A: Yes, but only via the Pro Desk and there is a 20 piece minimum. Many people only want smaller quantities (2 to 10 pieces) and ordering a quantity does not seem efficient (even though Sing Sandwich could make almost anything better). 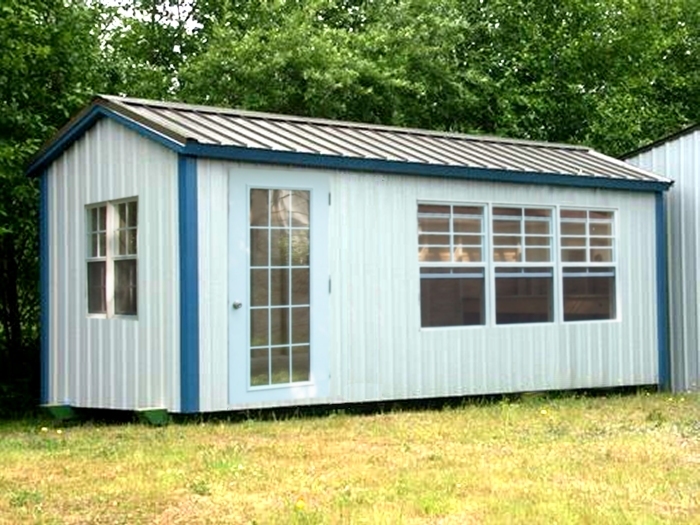 The Sing 8×24 Tiny House Kit includes all the pre-framed panels necessary to build your 24×8 storage shed, shelter or modular home. No framing is necessary due to patented Sing Core’s built-in torsion box frame resulting in a Reinforced Structural Insulated Panel (RSIP) that are lightweight imbued with unparalleled high-strength (660 PSI = stronger than steel pound-for-pound). 8 x 20 foot Tiny House built in 1 day to last forever! 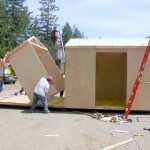 Standard Sing Tiny House Panels are fully structurally fabricated with our patented Sing torsion box core, fully insulated wall to wall for added thermal and sound-deadening properties and features Luan plywood exterior surface (skins). Inexperienced Tiny House builders are now able to construct a completed 8×24 Tiny House structure in a day using their Sing Tiny House Kit, which ships flat to your location, ready-to-build your 192 square foot building. This kit includes standard 4×8 trimmed-to-fit interlocking cam-lock panels with pre-installed electrical and plumbing chases. Walls are 2 inches thick with 3/8 inch CDX plywood faces. Floor and roof panels are 3 inches thick with 1/2 inch AC plywood faces. No special tools are necessary for assembly (except for Allen wrench to operate cam locks for assembly and disassembly). Kit includes flat roof, pitch or slanted roof available at extra charge. Door panel is full size interlocking panel with pre-installed hinge door (also made of Sing Core) which required additional hardware (door knob, locking mechanism, not included) and jam finishing. Window cutout can be pre-cut at additional charge. Sing Panels can be easily modified using standard woodworking tools and equipment, including CNC. Help Wanted: Sing Core has many opportunities to join the team, including Tiny House Delivery Drivers, a generous Referral Program and you can even earn a Free Tiny House. Yes, Sing Core does make the best reinforced structural insulated panels (RSIP) for use in Tiny House applications as walls, floors, ceilings and roofs. We have a huge desire to support the tiny house industry but be aware that we only offer Sing Panels for tiny house construction to professional distribution channels. Since we offer no support for our products (besides what is readily available via our web site). Our operation is not setup to sell our products to people in need of retail customer service. We suggest that you seek answers to any questions about how to use Sing panels by consulting with your engineer, architect, builder or contractor. Note: We do occasionally offer products direct to the do it yourselfer, like Tiny House panel Kits or Tiny House Surplus Panels. Though we may provide you with the materials, we offer no how-to support to the DIY enthusiast except that which is available via our Tiny House FAQ (frequently asked questions) and other online resources. Sing Core is seeking fans of our patented Eco-friendly, lightweight high-strength building material that enable even the most inexperienced builders to build a Tiny House in a day. In fact, we astonished a wide-eyed public when we introduced our lightweight, high-strength, insulated, hurricane-resistant Smallest House in the World that can be build from the ground floor up in 7 minutes. This structure has huge implications in the homeless, emergency shelter and recreationally as Ice Fishing Shanties. 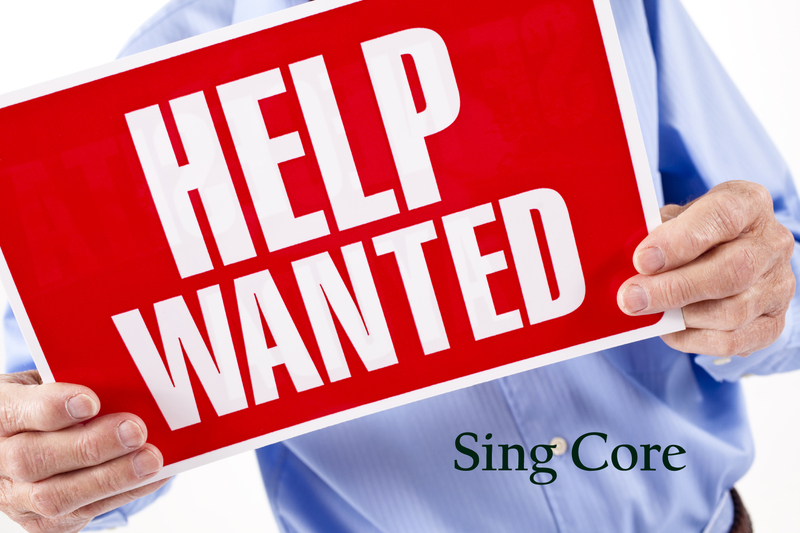 Sing Core is hiring due to rapid growth and expansion and we need your help to find just the right people who are best-suited to keep us on this path into a better world in the future for our Eco-friendly patented lightweight, high-strength structural building material. Yes, we even have opportunities for supporters to work with us from the convenience of their own homes, if they are a good match. Online Sales Referrals (sign up quickly and easily online – start today). Tiny House Sales (where you can even earn your own free tiny house kit free). As well as partnering with contractors across the nation to win the bid. We back you up with the best lifetime warranty on high precision true flat products that can be guaranteed to stay flat and not to bend, warp, twist, rot or fail regardless of application or use. Help us keep up with the increased demand for Sing Core as more and more people recognized its unlimited applications. If you would like an exciting career with us and helping us to promote this revolutionary true green technology, please contact us. Tiny House built in 1 day – last forever! This could only be possible with patented Sing Panels, and now – more than ever – we need your help spreading the word about this revolutionary Eco-friendly building material that is not only lightweight, but stronger than steel. See comparison to other building materials. And help us spread the word while creating a more sustainable planet for all earth’s creatures. And you can start telling your story – and telling the Sing Core story – to others and start earning $ today. Even if you’re a casual user or believer in Sing Products, we can offer substantial discounts to our Sing Consultants. 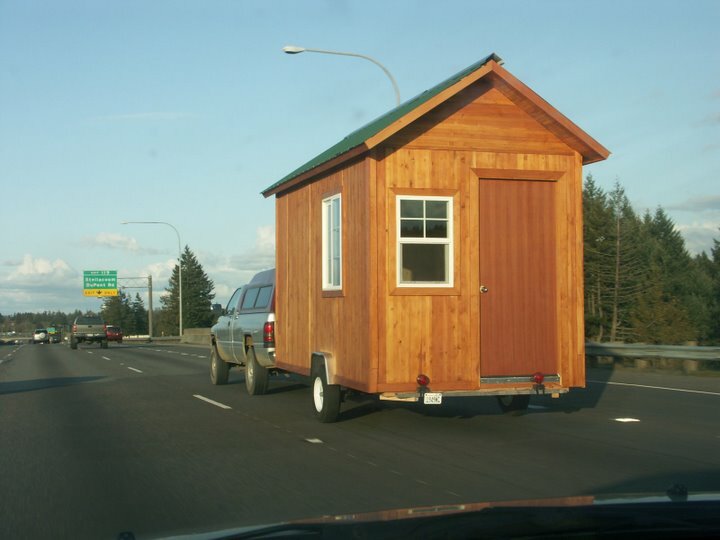 PS: We are also looking for Tiny House Drivers to deliver Tiny Houses across the USA. Click Here for Details. Additional opportunities include earing a free tiny house, or getting paid for referrals. Sing Core is building tiny houses for individuals who seek only the best Eco-friendly Tiny House that is lightweight, high-strength and withstand the test of time. In keeping with the Earth-friendliness of the Sing Tiny House, making the world a better place and creating opportunities for locals, we are reaching out to the community-at-large in search of deliverers with trucks to deliver our Tiny Houses to various locations. What does it take to be a Tiny House Driver? Basically, you will need to have your own truck with a trailer hitch. 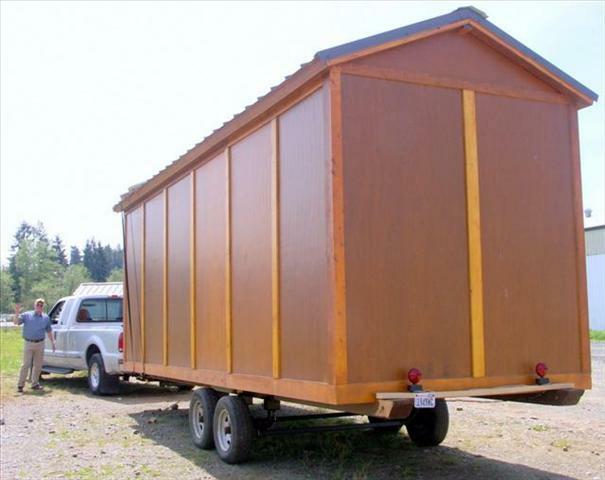 Requirements are minimal as Sing Tiny Houses only weigh 2600 pounds (other tiny houses can weigh up to 10,000 lbs or more) reducing fuel consumption and are easy to tow. Deliveries will be arranged on an independent contract basis, including gas, food and hotel accommodations. If you are interested in becoming a Sing Tiny House driver, please contact us and join the Sing Team today.